For fast and dependable shipping services, people have relied on the Minneapolis air freight company, Expedited Transportation, since 1975 due in large part to their excellent customer service reputation. As a locally owned and family operated business, Expedited's team of dedicated and skilled professionals ensures your shipping needs are met on time and with your ultimate satisfaction in mind. We know the timeliness of your shipment is of paramount importance to the success of your business and we take this job very seriously. Expedited Transportation operates as a TSA Certified company to ensure your goods are shipped expediently and in compliance with US laws and regulations. This helps for a smooth and easy transportation of your goods to its final destination. In addition, we are a member of the Messenger Courier Association of America (MCAA) and are cleared for Canadian Border Crossing. By having these credentials up-to-date, we're able to operate and fulfill your shipping needs with tight turnaround times and sharp deadlines. Expedited Transportation is ready to work with you to provide cost-saving options and alternatives for your courier needs. 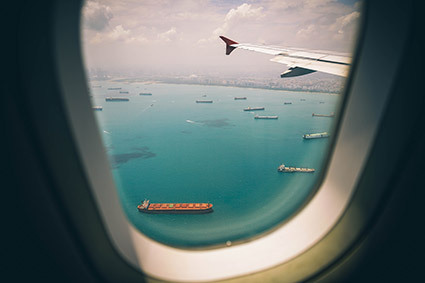 With our next flight out air freight option, your packages, parcels and goods will be shipped to its destination as quickly and safely as possible. Whatever your needs may be, our fully trained and friendly crew are equipped to handle a wide range of delivery services for your time sensitive materials. As the premier courier service in the Minneapolis area, our company offers its clients the convenience of storage within our 15,000 square foot, full insured warehouse. Whether you need your materials stored overnight or long-term, our warehousing option is a cost effective storing alternative for your business. If you are interested in speaking to a knowledgeable member of our team or if you would simply like to learn more about our Minneapolis air freight services and next-day delivery, we invite you to contact us at 612-721-9191 or dispatch@expeditedmsp.com. Looking for our fax number?